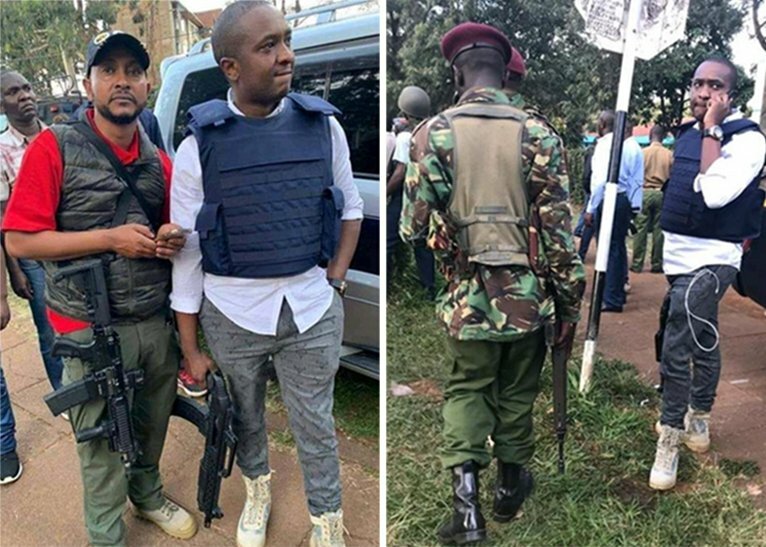 Politician Steve Mbogo was arrested by police for questioning following his appearance at the Dusit Hotel complex in a bullet-proof vest and armed with a semi-automatic rifle. 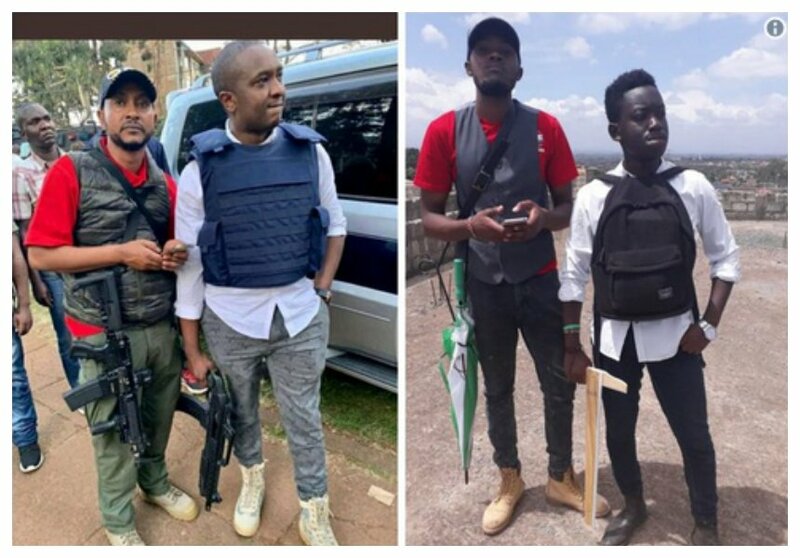 Kenyans took to social media to criticize and mock the flamboyant businessman after photos and videos of Mbogo at the terror attack scene, armed with a high-calibre rifle and a navy-blue bulletproof vest. He even posted several videos showing how the militants were killed. Mbogo confirmed to Citizen that he was summoned to Nairobi Area Police Station for that. “They asked me to come and verify the ownership of my guns. We’re currently going through that process at the station. Hopefully, we’ll be done with it soonest possible,” said Mbogo. Oddly enough, Nairobi area police boss Richard Kerich, however, said he was “unaware” of Steve Mbogo’s ‘arrest’. “Who is that Mbogo? I am unaware whether such a person has been arrested,” he said. Mbogo explained that he wanted to help people at Dusit D2, a reason why he went to the scene immediately after the attack. “I am a licensed firearms holder. I was running my errands near the dusitD2 Hotel here in Nairobi, when I learnt that the facility was under a terror attack. Because I was in a position to help, given I have good knowledge on how to handle firearms and protect myself against such situations, I went in to help in the rescue operations. If you are asking in what capacity I was there, I would tell you: I was there as a civilian, who is mandated by law to handle firearms,”Mbogo said.